Who’s the fool? You’re about to find out. To start, go to Defenders of Neopia HQ where you’ll see a link that says “Series 3” on the bottom. Click it and you’ll be taken to a page with Judge Hog standing in a middle of a communication console saying there’s a mission to do. When you click the button that says “Accept Mission 1”, a pop-up will appear. READ THE POP-UP! The pop-up informs you that, once you start the mission, certain things on the site will change; possibly locking you out of some features until you complete the mission. This mission can take some time to complete so I first suggest doing anything you were holding off doing before accepting the mission. Once you’re ready, confirm your acceptance and the mission will begin. Judge Hog says an epidemic has sprung up and to report to The Neopian Hospital to learn more about it (you’ll also be told that if you get lost at any point you can return to Defenders of Neopia HQ for a hint). At the hospital the Gelert doctor will tell you that a new strain of the Scourgies has been spreading. Not only are Neopets being covered in growths but some Neopets are deforming (most notable deformities are Flotsam and Jetsam becoming fish, Techo growing a second pair of legs, Meerca’s face becoming a giant eye, Aisha gaining Snorkle traits, and the Chia opening its eyes). Not even the Faeries are immune; all the Faeries have switched genders, from female to male, which sealed their magic (including Marina making the Healing Springs unusable)! The Gelert doctor says they are ready to test cures but the Pharmacy hasn’t sent them the supplies needed. He asks you to go over as he tends to the patients. At The Neopian Pharmacy, the Elephante pharmacist will tell you that the supplies have mysteriously vanished but they can give you a list of what the hospital needs. However if you try to go to a shop, Money Tree, Wishing Well, your inventory, or Safety Deposit Box you’ll be stopped by the Pant Devil! The Pant Devil will tell you that you are “Over NeoCharged” and until you pay it off you’re prevented from using Neopian shops (including the Money Tree and Wishing Well) and your Inventory and Safety Deposit Box are being held in compensation until paid off. If you try using the Shop Wizard you’ll discover he’s feeling dizzy and can’t get any searches correctly. If you try going to another player’s shop, you instead go to the Shop Wizard, apparently due to a searching spell gone wrong. If you try using the Trading Post you’ll find a Tyrannian Kacheek named Hoka running it, being put in charge by Jhuidah who has been turned male and powerless like the other Faeries. When you try making an offer on a lot, Hoka will make a mistake and instead offer all your Neopets, NP, NC, Neohome, and Closet! However Hoka doesn’t understand how the Trading Post works so your “offer” is permanently stuck and you can’t make any other offers (luckily your Neopets, NP, NC, Neohome, and Closet don’t look to have been touched). Finally if you try the Auction House you’ll see only the items you need but, when you try to bid on any, Nigel the Stock Market Chia will bid 1 NP over you and automatically win the item. Go back to Defenders of Neopia HQ and Judge Hog will suggest defeating the Pant Devil in the Battledome will chase him and his NeoCharge away, at least temporarily. Head to The Battledome but as you’re setting up the fight you’ll discover all your Neopets has come done with the Scourgies! Now sick, they’re unable to battle so go back to Defenders of Neopia HQ... only to discover all the Defenders of Neopia have been infected by the Scourgies too! Judge Hog tells you to go back to the hospital to see if the Gelert doctor knows anyway to help them and you. Go to the hospital and the Gelert doctor will say there’s nothing that he can do... but he may know someone who can. There was a doctor who studied the Scourgies years ago but was considered a quack for doing so. He quit being a doctor and become an entertainer and hasn’t been heard from since. His name is Morton G. Firefly. Go back to the Defenders of Neopia HQ and they’ll do a search for his name, finding his Classic Neohome and giving you the address: 401 Winding Wood Drive, Neopia Central. When viewing the Neohome of Morton G. Firefly you’ll be told that his mail box is filled with letters. The letters are from the defunct NeoBuddy program and Morton had two: Bug Eye McGee and Sir Fufon Lui. The letters are rain damaged so you need to piece together where the two are living now. If you want to solve the puzzle for yourself STOP READING NOW! ONLY CONTINUE READING ONCE YOU’RE DONE. From putting the letters in order and context of what was written you can figure out where each one is (you could have also gone back to the Defenders o Neopia HQ and they could have searched it for you). Bug Eye McGee is living at 41 Sailors Alley, Shenkuu and Sir Fufon Lui is living at 414 Chievely Canyon, Roo Island. You need to talk with both; they’ll tell you that Morton went on a voyage last time they heard. McGee will tell you the latitude and Sir Fufon the longitude (you’re not told any actual coordinates so don’t panic if you don’t see any). Go to the Map of Neopia and a new location will have appeared on the islands beside Meridell. Clicking on the islands will take you to a brand new world: Quigara, the kingdom of the Quiguki! While you may be excited to check the new shops and features this world has to offer, clicking anywhere will have you teleported into a dungeon cell. A mysterious voice will speak to you, calling you intruders and to wait for the judgment of Xanstalon. The only option you have is a button of you asking “Judgment of Xanstalon”? Clicking on it will have another voice speak to you, a female Quiguki in a pink dress from a cell across from you. She’ll introduce herself as the Princess of Quigara and explain what happened: Quigara was a peaceful kingdom ruled by her father, King of Quigara. One day she took a walk around the royal pond when she saw what she believed to be a human. Curious if the legends were true, she kissed the human hoping it would transform into a Quiguki prince. However instead she freed an evil Quiguki sorcerer named Xanstalon who then took over the kingdom! He imprisoned everyone in the castle to prepare for a “Quiguki Armageddon”. She tells you that, if you’re willing, the previous Quiguki who was in your cell made a hidden escape tunnel. Suddenly black smoke appears around her and she tells you to search for Prince Frogar, only he knows how to defeat Xanstalon and prevent the Quiguki Armageddon. She disappears and your only option is to take the hidden tunnel. 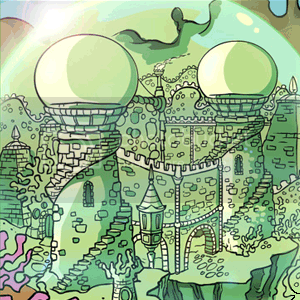 The end of the secret path leads you to the Quigara Library and you get to work figuring out where Prince Frogar went. This is another puzzle; you have to search through books for information on Prince Frogar. If you want to solve the puzzle for yourself STOP READING NOW! ONLY CONTINUE READING ONCE YOU’RE DONE. The conclusion you should come to is that Prince Frogar vanished after a secret voyage to Mystery Island when he found a magical mask. Your next destination should be Mystery Island, specifically to either Tombola or Tiki Tack shop. Once there you’ll tell the Tiki Tack Man what happened and if he knows where Prince Frogar is. The Tiki Tack Man will say it’s finally time to reveal his true face, taking off his mask and transforming into Prince Frogar! Prince Frogar will explain that he got shipwrecked and lost his memory, but you telling him about Quigara made him remember who he was. He gives you his mask and says to use it on Xanstalon to turn him back into a human. Prince Frogar say he needs to stay on Mystery Island as he is one of its guardians now (note that for now on it’ll be Prince Frogar running Tombola and Tiki Tack shop). Nick Neopia! Nick will remove the mask and crush it, laughing maniacally. He says you may have revealed his true identity but it’s too late to stop him taking over Neopets! He’ll teleport away, freeing the Quigara royalty. Now this frees up you to explore Quigara, but more importantly the King of Quigara will give you access to the castle’s labs in the basemen which Nick Neopia was using. Going into the lab you’ll come to a surprising sight: a garden of NeoPlants! Your attention gets drawn to a door that knocking is coming from. You open the door to discover the knocking was being done by Morton G. Firefly! 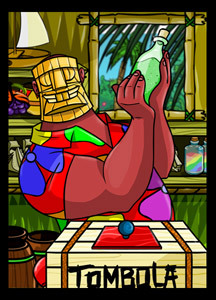 Morton explains he came to Quagara because he misheard Quiguki magic as “quirky magic” which he thought would help him in the development of more pranks. 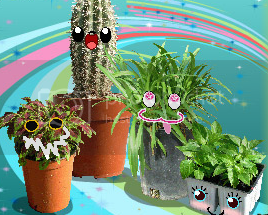 But when he got to Quagara he not only realized his mistake but discovered Nick Neopia’s plans. The strain of Scourgies that’s going around is being produced by these NeoPlants. Before he could tell anyone, Nick imprisoned him. You tell Morton about your dilemma and Morton just so happens to have some vials of a cure he whipped up before being captured! Your Neopets take the cure but Morton says there are not enough supplies here to make any more. However, before you can do that you need to get rid of the Pant Devil’s NeoCharge. Whether your idea or you went to Defenders of Neopia HQ, your next destination is the Battledome now that your Neopets are cured. However when you get there you discovered the Battledome has been closed, mentioning a 3D Battledome is coming soon! Return to Defenders of Neopia HQ and Judge Hog will say there’s no other choice but to clear the NeoCharge by paying it off. Obviously you don’t have the NP the Pant Devil is demanding so Judge Hog suggests asking the King of Quagara if he could help. Go back to Quagara Castle and you’ll tell the king your problem. The King of Quagara will tell you that Quagara doesn’t have that massive of a treasury but they may have something that can help. Many citizens of Quagara are part of a Members-Only Clubs. There are five clubs and each provides perks for their members, including use of the Neopian Net Worth Calculator. The calculator estimates the worth of the one who uses it, with it you might be able to pay off the NeoCharge. But in order to join a Members-Only Clubs to use the Neopian Net Worth Calculator you need to take a trivia challenge and get a 100% score. The Members-Only Clubs are marked on the Quagara map and once there you need to pick a club to take their trivia challenge. Since the questions always change I can only give you a hint on how you can pass each trivia challenge: Inner Circle you want to pick the classiest answer, Chic UCs you want to pick nostalgic answers, Paintbrush Aplenty you want to pick colorful answers, Club Lutari you want to pick answers that a Lutari would pick, and The Connoisseur you want to pick answers a merchant would pick. Once you pass one of the trivia challenges you’ll meet with the leader of the Members-Only Club you passed: Galactic Commander the Eventide Grundo for Inner Circle, Hops the Robot Cybunny for Chic UCs, Eleanor the Candy Elephante for Paintbrush Aplenty, Heyral the Royalboy Lutari for Lutari Island, or Frankie the Chocolate Gelert for The Connoisseur. No matter who you meet you’ll tell them why you came to them and they’ll tell you that the Neopian Net Worth Calculator only calculates your worth but doesn’t give anything you can use to pay off your NeoCharge. 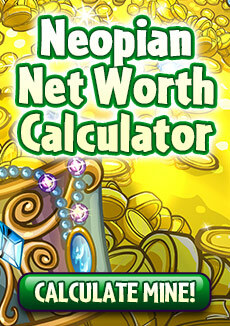 However, they suggest maybe the Neopian Net Worth Calculator itself could be used! The leaders will tell you they aren’t from Neopia but from different dimensions. 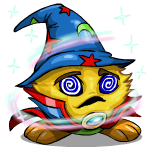 When they came to Neopia they were changed into Neopets and lost the ability to get back to their home dimension. They’ll tell you if you can turn them all back to normal they’ll give you the Neopian Net Worth Calculator. Go back to Defenders of Neopia HQ and Judge Hog will tell you to talk with the Lab Ray Scientist to see if the Lab Ray could change them back. Go to the Lab Ray (don’t worry if you don’t have access to it; Judge Hog will give you special permission) and the Lab Ray Scientist will tell you the Lab Ray only changes a Neopet to another species of Neopet. He’ll then tell you the one you need to see is the Meat Faerie who has the power to shapeshift herself and others, but he doesn’t know where she is. Back to Defenders of Neopia HQ and Judge Hog will suggest speaking with Queen Fyora, or rather King Fyora at the moment. You’ll need to go to The Hidden Tower and Fyora will tell you that the last she heard from the Meat Faerie she was hiding deep in a cave... in Quagara! Go back to Quagara and you’ll see a new location has been marked, Meat Cave. Meat Cave is a maze which shifts every hour so you’ll have to solve it on your own. If I can give any hint I would tell you to wait till the next hour and memorize the layout. Once you solve the maze (and yes, each maze is in a shape of a piece of meat; she is the Meat Faerie, after all) you’ll find the Meat Faerie, and she’s still female! 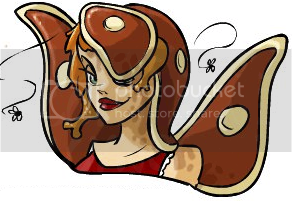 The Meat Faerie will explain she remained female because she blessed these caves so whoever is in them cannot change their shape unless she permits it. You tell her why you’re there and she’ll tell you that, though she’s right now female, if she leaves the cave she too will become male like her sisters and be unable to use her magic. You’ll have to bring the Members-Only Club leader to her to change them back. You go back to the club leaders to tell them this but there’s a problem: they can’t leave the club. When they were turned to Neopets they got caught and put in The Neopian Pound to be adopted out. They escaped but they’re still technically up for adoption and if they leave the club they might get snatched. Either you’ll have to adopt them or, if you have no space, figure out a way to prevent them from being adopted. Go to The Neopian Pound and you’ll speak to Dr. Death. He’ll tell you that if they’re in the system they can’t be removed until they find an owner and due to your NeoCharge you can’t adopt any Neopets. He’ll then say there is a way to have them temporarily, though you’ll have to talk with Rosie on the Neopian Pound NeoBoard. Rosie will tell you that you can participate in the Foster Program. You can become a foster to one Neopet that’s in the Neopian Pound but it’s only for one hour. 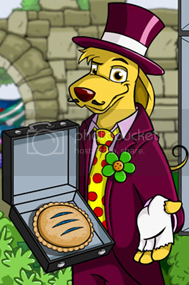 Once the hour is up the Neopet, if still in your ownership, is automatically put back in the pound and you can foster another one. Agree to sign up for the Foster Program and go back to the club leaders who have now gathered together. Choose one, take them through the Meat Cave, and have the Meat Faerie transform them back to their original form (which you don’t see beyond a glowing silhouette as they instantly transport home). While transporting home they’ll leave you their key for the Neopian Net Worth Calculator. Wait an hour and repeat the process until you have all the keys (also if you go back to Rosie she’ll inform you that since you lost five Neopets you were fostering you’re disqualified from using the Foster Program). Go back to the Members-Only Club page and you’ll be able to click on the Neopian Net Worth Calculator which is in the background. Insert the 5 keys and the calculator will recognize you as its new owner and start calculating your worth... and then disappear! You’ll get a message saying it’ll reappear when you need it so go to a page where the Pant Devil will appear with the NeoCharge. On that page a button that says “What’s My Worth?” on it will be available. Click the button and the Neopian Net Worth Calculator will reappear and finish calculating your worth. Both the calculator and the NeoCharge machines will start glowing, chasing the Pant Devil away before both vanishing once more. You’ll get another message, this one saying that your NeoCharge has been fully paid off and you no longer own the Neopian Net Worth Calculator (if you try going back to the Members-Only Club it’ll say all clubs have been disbanded). The next page you go to will result in a Random Event with the Elephante pharmacist telling you to return to The Neopian Hospital. Go there and you’ll see the Gelert doctor and Morton G. Firefly curing Neopets and Faeries of the Scourgies. The Elephante pharmacist will explain that the Pant Devil, when it was running away, dropped a bag which was full of the supplies she was going to send to the hospital! It was probably working with Nick Neopia, stealing the supplies and coming up with the NeoCharge to prevent the Scourgies from being cured. However, Morton G. Firefly will point out Nick Neopia is still a threat and you should go back to the Defenders of Neopia to see what your next plan of action is. Back at the Defenders of Neopia HQ, Judge Hog will congratulate your assistance in curing the Scourgies but your work isn’t done yet. Nick Neopia needs to be stopped and according to reports he was seen going into the now closed Battledome. They tried getting in but discovered that, beyond the wooden planks, the Battledome was inside a 3D projector shield. The only way “in” is to enter through a 3D Neopia, but they don’t know how to turn you into 3D or bring you and Nick back. 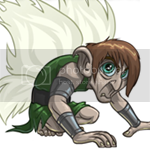 The Meat Faerie then speaks up, having come to Neopia Central with Morton G. Firefly to distribute the cure. She wanted to thank you for curing her sisters but heard what Judge Hog said and is offering her help once again. She says she can turn you 3D in shape, but you’ll also need to become digital which she thinks the Lab Ray can help with. Go to the Lab Ray and the Lab Ray Scientist will be talking with the Meat Faerie. He’ll say combining his Lab Ray with the Meat Faerie’s magic will let you enter the 3D Neopia. The Meat Faerie will then give you a Meat Faerie Doll, saying it’s enchanted to let you switch between the normal and 3D Neopia, as well as bring Nick Neopia back with you. The Lab Ray Scientist will finish saying once you’re prepared to say FIRE AWAY (or rather click on the button that says “FIRE AWAY!”). Entering the 3D Neopia, you start in the middle of 3D Neopia Central. But instead of the existing Neopets species you’re surrounded by species you don’t recognize (some which are bigger versions of Petpets and one looks to be a relative of the Gnorbu). These new species can be interacted with and by talking with all 50 of them (thankfully optional, though some are mandatory for the upcoming puzzle) you learn about Nick Neopia and his plans. Fifteen years ago Nick Neopia tried to rebrand Neopets into what he believed to be a much cooler and more extreme version: Neopetz. Nick Neopia plans were thwarted but he vowed revenge. Learning dark magic, he disguised himself as Xanstalon and took over Quigara to use as his secret base of operations. If he can’t rebrand Neopets he’ll just destroy them instead and replace them with 50 Neopetz. 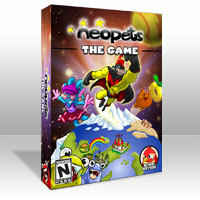 Using NeoPlants to produce the Scourgies plague to wipe out all of Neopia, he’ll then take it over with his Neopetz and sell it as NeoMerch, chopping it up and selling it as expansion packs (he even has a movie deal in the works with Dr. Sloth). While talking with the Neopetz you’ll learn that Nick had been in contact with Mulkus Vile to manage the NeoMerch side of things. Some Neopetz will give you these letters and it’s up to you to piece the information together to gain access into the 3D Battledome. It’s locked behind a code which is different for everyone (the given letters will reveal location of other letters in the 3D Neopia Central, some containing part or clues to the code). Inside the 3D Battledome, Nick Neopia is waiting for you. Nick Neopia will rant that you have ruined his plans but he’s not done yet. 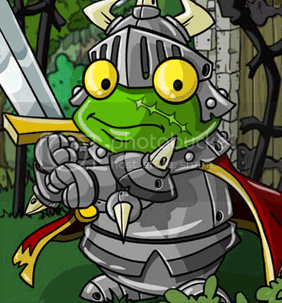 Though he had hoped to destroy Neopia with the Scourgies, he’ll now just do it with an army of Neopetz and his dark magic. He initiates the 3D Battledome’s battling procedure, explaining that it’s incomplete on the user side but the opponent can still move around and attack. Indeed, you’re unable to move as Nick starts flying around the battlefield. But you have the Meat Faeire Doll and selecting it from the 3D Inventory Bar will cause you and Nick to switch from the 3D Neopia Battledome to the normal Battledome. At this point the Battledome will have returned back to normal but now with Nick Neopia as a Challenger. His difficulty is 50 on Average, 100 on Strong, and 250 on Mighty. If you’re having difficulty beating him there’s a way to automatically win the fight. 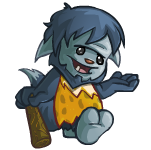 Three of the Neopetz will tell you secrets about Nick: he’s allergic to meat, his magic is weak to Faerie magic, and he’s afraid of dolls. 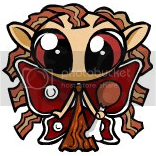 You can equip the Meat Faerie Doll and using it will block all damage and automatically reduce his HP to 0 (but only for him, it’ll have no effect if used on any other Challenger). And with that you won! Head back to Defenders of Neopia HQ to receive your congratulations and prizes. First you’ll get one of the exclusive weapons that Nick Neopia used. Second you’ll get either a medal or trophy depending on how the battle went. If you used the Meat Faerie Doll, no matter what difficulty, you’ll just get a medal. If you fought him normally you’ll get a trophy depending on the difficulty: bronze for Average, silver for Tough, and gold for Mighty. Don’t freak out if you didn’t know; you can fight Nick Neopia again to get a higher trophy. Finally you’ll then get a sneak peak of the next mission. I hope this guide was helpful to those who haven’t started or got stuck somewhere. So until then, I’ll leave you with this sneak peak of Mission 2 (Lies of May). If you still don’t know who the fool is, you soon will.